While people travel daily via public transport, it's highly important that they have enough information readily available to make their journey hassle free. Simple information such as destination, next stop, route, etc. should be presented to them where they can conveniently see it. They should be able to find the exact way and the bus they are looking for without having to look around for information. The run number boxes or route boxes play a significant role in the transportation industry. They display information on the route numbers and can be installed in the front, rear or on the side. 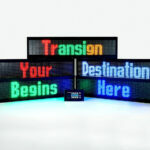 Used by the nation's leading transport systems, these signs provide route identification for fleets of any size. Transign has been providing route number boxes and bus blinds to many transportation agencies across North America and Canada. These signs are affordable with no compromise on quality and are currently a part of the entire fleet of vehicles for NYCT (New York City Transit Authority). They have excellent clarity and visibility due to the LED backlight. They are available with plastic or steel housings that make them durable. They can display either alphanumeric characters or numeric characters to suit your route numbering styles. Incredibly easy to install and are virtually maintenance free due to the simplicity in design. These run boxes are available in many colors, graphics and custom fonts that are appealing. LED options are also available for these signs. Durable and fire resistant materials are used to make these boxes. They are available in two, three and four digit displays that are convenient for the numbering systems used by various transport authorities. 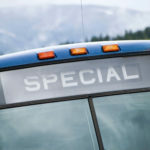 You can also select from many foreground and background color combinations so that they go along with the color of your buses or transport vehicles. Route boxes are not only limited to the fleets in the metropolitan cities but also a great economical option for those small agencies operating transport services in the rural areas. Making their products accessible to all kinds of customers by keeping their prices affordable and quality high, these signs are a popular choice today. Having new technology solutions in the transit industry eliminates the need for a lot of manual work such as changing signs, routes, announcing the next stop and answering queries by the passengers. The drivers of these buses no longer need to change the signs or inform passengers about the route. All this information is displayed using route number boxes and other advanced technology transit signage. 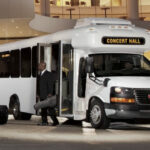 Transign is known for its quality products that have served the transit industry for over 50 years. Their run number boxes are a cost effective solution that allows passengers to find the exact route and bus they are looking for while simplifying maintenance and scheduling too.